I mentioned in my last rambling post that my family is on vacation, we're relaxing and doing a lot of nothing in beautiful Red River, New Mexico this week. Several years ago I started a guest post series called "My Favorite 5" (not to be confused with the other monthly series that started this year "My Five Favorites"...close names, but different themes!) where I invited a fellow blogger to share 5 of their all time favorite posts or projects with us. I thought it would be fun to revive that series with a few special guests this week while we're away. I hope you meet some new friends and are inspired by some of the projects they share with us this week. Today I'm thrilled that my super sweet, amazingly talented, and oh-so-chic friend Mallory from Style Your Senses agreed to be my guest. Mallory has been a friend for several years and it's been my privilege to hang out with her in person on several occasions, and let me tell you, this girl has it together! I'm constantly impressed with her poise and kindness, and she can put together a room or an outfit like nobody's business. So... meet Mallory, I know you'll immediately fall in love with her style, too! Hiya! I'm Mallory from Style Your Senses and I'm just tickled to be here with you today while Jennifer is gone. First, can we just pause for a minute and talk about how amazing Jennifer is??! I've spent a lot of time with her now and she's even more beautiful, funny and overall just a great person in real life. I'm super flattered that she thought of me to be here while she's off on vacation! #1 : Meet My Mom | An interview my mama and showing off her adorable style! In honor of Mother's Day this year, I invited my mom to join me on the blog for an interview about all things motherhood. She also (against her will...hehe) got in front of the camera to show off her adorable Fashion Over 50 Style...proving that you don't have to sacrifice cute style with age. #3 Master Bedroom Reveal | Transforming our Master and stepping out of my colorful comfort zone! This past Fall, I took our "builder beige" Master bedroom and transformed it into a bright, airy and calming sanctuary for us to relax in every night. 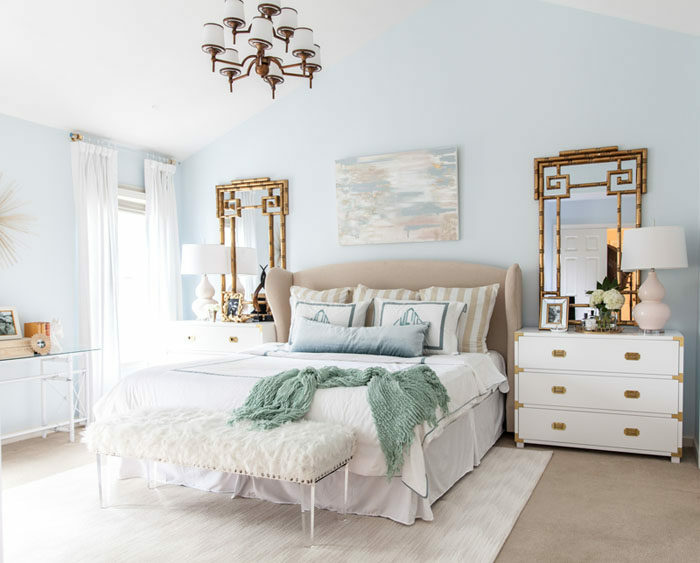 I'm normally one that gravitates towards lots of color and, for this project, I totally went the opposite way with lots of muted tones, pale blues and whites. It was scary at first because I felt it might be boring, but it's proven to definitely be the right decision for this space! #4 One Classic Summer Dress: Two Ways | Showing how versatile a good Little Black Dress can be! 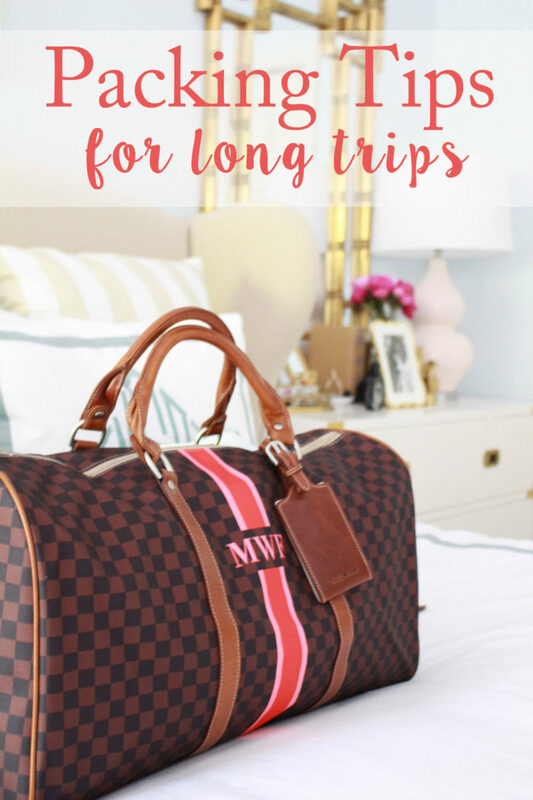 I posted this just a few weeks ago, but it was really popular on the blog. This classic summer black dress is such a cute fit, that's just a little flowy but still flattering and can be dressed up or down. I showed the versatility of the dress by styling it for a casual summer day or dressing it up for a Summer date night! 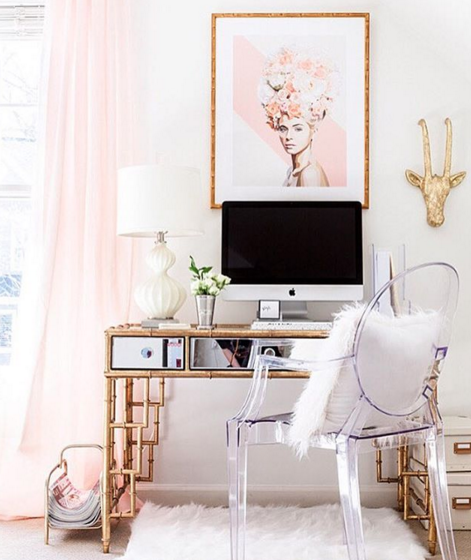 Working at home isn't always super easy when you don't have a defined space that allows you to feel creative. 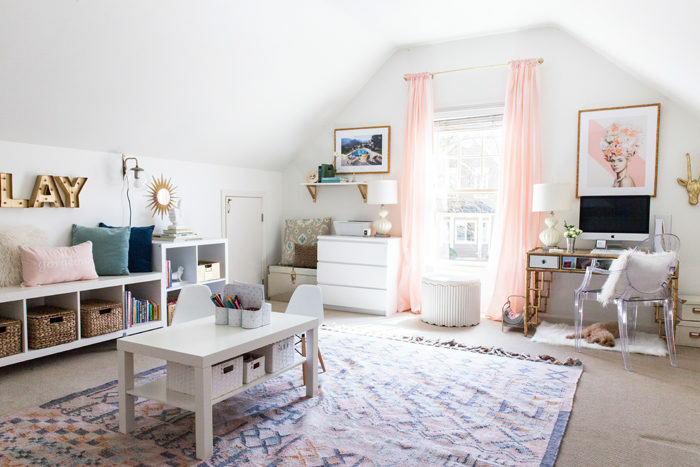 It also isn't super easy when you also work for a 3 year old ;) I decided to put our bonus room to good use and transform it into a a creative space where both my daughter and I could love and enjoy together! Thank you guys so much for having me today and thank you Jennifer for letting me hi-jack your blog! I hope that you'll visit me at Style Your Senses and find me on Instagram @styleyoursenses ! Aren't you just in love with Mallory's style? How cute is she with her Mom? Looking at everything I brought with us this week, I definitely need to put some of her packing tips to use, and can you even believe that playroom/office? Whoa, it's pretty! Please make sure to stop by and visit her, you'll also adore her patio makeover, the darling "Tea for Two" birthday party that she hosted for her cutie-pie daughter, and this dress is one of my favorites on her. Thank you Mallory for sharing with us today! Hi Jennifer, First, I absolutely love your blog and it has been one of my favorites for years and one of the top two that I look for on a daily basis. That being said, I am only passing this info on just so you are aware. The ad placements on your blog now are making it very hard to read. There is now a big add that always pops up at the bottom and when you try to X out of it, it either takes you to another ad or asks you what kinds of ads you want to see. Personally, I don't want to see any of this ad here because it makes it so hard to read now. I understand that this how bloggers make money and just checking if there is another way you can do this or place them in different places. It is getting frustrating to read at this point. Thank you for time of listening and thank you for your valuable information when you blog. Thank you for your feedback! My ad company and I were testing out a few things, that footer being one of them. I actually don't like it either and will have them remove it. @Michelle, I love my AdRemover for Google Chrome. It gets rid of 90% of those irritating ads. If you don't have Chrome, they have different AdRemovers depending on what your browser is. Thanks Kellie- I've been testing out a few things with my ad company. Making some changes! As a parent I really love to have the #5 the Office and playroom combo. Pretty sure my college students from http://www.lordofpapers.com/paper-writing-service would be happy to share your 5 senses style favorite.